For reasons of tzniut , people are commonly taught that the mitzvah of taharat hamishpacha should never be discussed, except in private settings between husband and wife. I believe that, contrary to this understanding, there are multiple benefits to making mikvah a “speakable” topic in your home. By allowing for mikvah -going, s hmirat hilchot niddah and taharat hamishpacha to be topics that are discussed in your home, with your children, you can create a healthy discourse around these very important halachot . You are also creating a healthy framework for sexuality to be spoken about in your home. Very often in my office, I see that couples who struggle the most in the areas of intimacy and sexuality are those who got no messages about sexuality from their childhood homes. They often struggle understanding their bodies, its needs as well as the desires of the partner. Thus, the ability to have healthy discussions about intimacy and sexuality with your family will only help your children in their future homes, BeH. It’s not that actual marital intimacy is the topic. We’re not talking about telling your kids about your intimate life. Rather, there is value in discussing going to the mikvah the same way we talk about Shabbat and kashrut . We teach our children, by example, how important those mitzvot are, and the details of how to keep them. We have the same opportunity with mikvah. 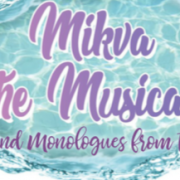 How do we allow mikvah to be a “speakable” topic? Once we’re open to the idea that mikvah can and should be discussed openly in our homes, we can take advantage of moments that naturally come up in the course of ordinary family life. So much of what our kids get from us is by observation. They’re always looking. They notice everything. So the next time your kid is lying in bed with you and they notice that the beds in your room are sometimes together and sometimes separate, that’s a perfect teachable moment to explain to them that when the beds are separated, Mom and Dad are in a niddah period. Similarly, when you’re introducing the idea of shomer negiah to your pre-teens and you explain the value of no touching between men and women, they may bring up the fact that they’ve seen their parents touch. That’s a perfect opportunity to teach them that there are times when the halacha requires you to abstain from touching. Moments like this allow us to have naturally-occurring discussion with our kids. They give us an opportunity to explain what we do and that this is something that we’re strict about. We teach by example. Once the topic is open, we can discuss how these laws could apply to their future lives as well. In fact, contrary to the popular understanding that we should never discuss this mitzvah in our homes, the Shulchan Aruch (197:3) offers a principle known as serech bita . The fact that we toivel at night is related to the idea that our children are always observing our behavior. According to the Shulchan Aruch , we don’t go to the mikvah during the day because we don’t want our daughters to have the impression that we didn’t wait the proper length of time. We also don’t want our daughters to err by thinking they can go to the mikvah on the seventh day itself if they are nervous to go out at night. As the Shulchan Aruch suggests, by not discussing mikvah openly in your home, you forfeit the responsibility to teach your children about the mitzvah by example. We’ve all heard about elaborate ruses that women make up just so no one knows they’re going to the mikvah. They were taught that their kids should never know. I heard a story about one woman who keeps a bag of non-perishables, like canned goods, in the trunk of her car. When she comes home from the mikvah, she brings the bag into her home with her and so her kids think she was running errands. The Shulchan Aruch actually offers an opposite approach. Let your kids know that you’re going to the mikvah . It’s our responsibility to teach our children that this is what we’re doing and why this is important to us. In summary, by allowing mikvah to be a “speakable” topic in your home, when it comes up naturally and you take the opportunity to speak with your kids regarding healthy intimacy and keeping the halachot of taharat hamishpacha , your whole family benefits.